I took last Friday off from work and headed north to my most favorite place ever (Maine) for some much needed R&R. The weekend was filled with boozy lunches, a bit of shopping, afternoon naps and some QT with my parents: aka, just what the doctor ordered. 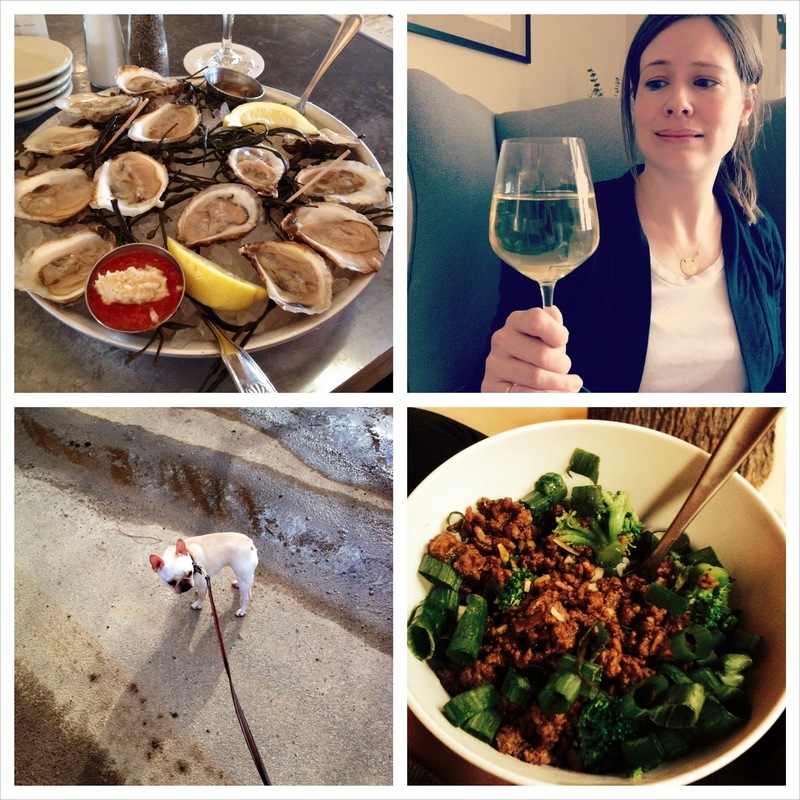 There were oysters for lunch, a glass of wine poured by my dad, walks with my small friend, and a korean beef bowl made from Natalie's recipe (it was sooo good). I feel refreshed and recharged and ready to face the week ahead. Your dad pours like me! Love it. I went out for oysters and wine yesterday for dinner. So needed it! That pic of you looking at your wine glass is amazing. Ive never been to Maine...it is on my to do list!